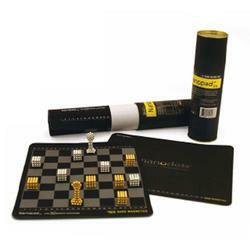 Nanopads are flexible game boards designed for maximum versatility. The 16" for our casual builders. 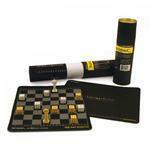 Both versions share a full sized chess board on one side. IronWeave (aka [FE] weave) is developed to withstand the impact of strong magnets. The material is not inherently magnetic but Nanodots stick to Ironwave like glue.